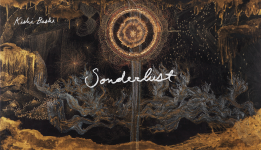 Sonderlust is Kishi Bashi's brand-new incredible album, as heard live last Monday at Royale in Boston! Kishi Bashi is Kaoru Ishibashi (and friends). Kaoru Ishibashi went to Berklee School of Music, right here in Boston. This virtuoso violinist has toured with Of Montreal (2012). His beautiful vocals, intricate compositions and clever lyrics make him PDBX's favorite of 2016!